Despite being open to the public for two months, some areas around the new Gettysburg National Military Park Visitor Center have not been completed. 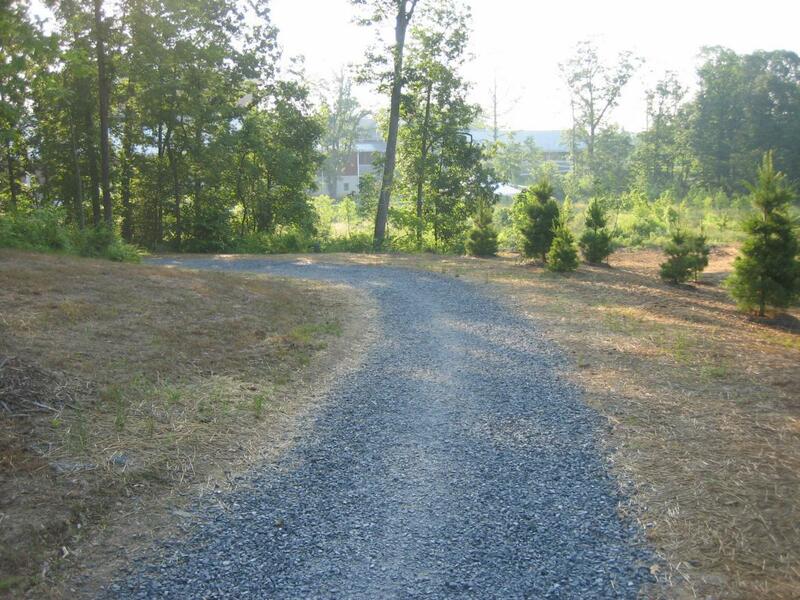 This picture shows the beginning of the gravel walkway leading from Parking Lot#3 to the new Visitor Center. The road is the connecting road leading from the Baltimore Pike to the Taneytown Road. The permanent looking sign does not give one a lot of hope that the path will have asphalt on it soon. This view was taken from the northeast facing southwest at approximately 7:30 AM on Friday, June 13, 2008. Landscaping, and paving around the new Visitor Center at Gettysburg National Military Park has not yet been completed two months after the doors were opened to the public. 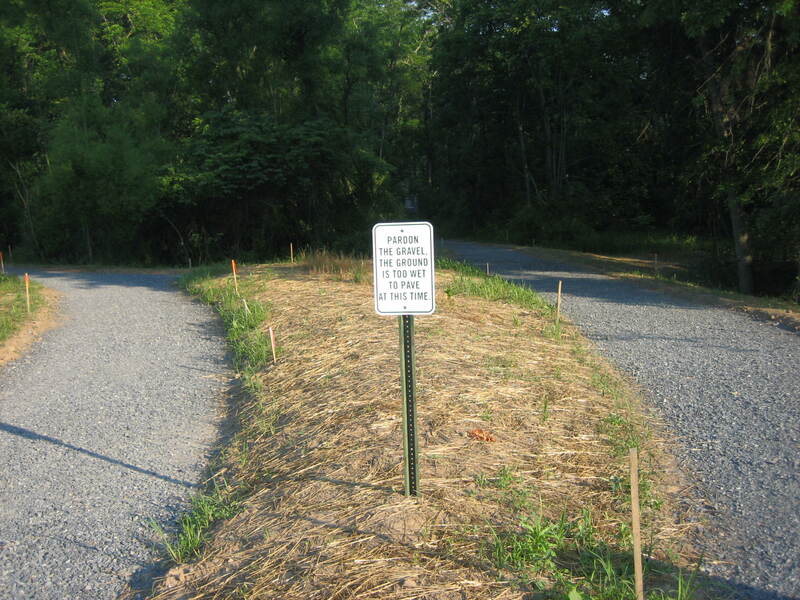 The sidewalk leading from Lot #3 to the Visitor Center is still gravel not asphalt. 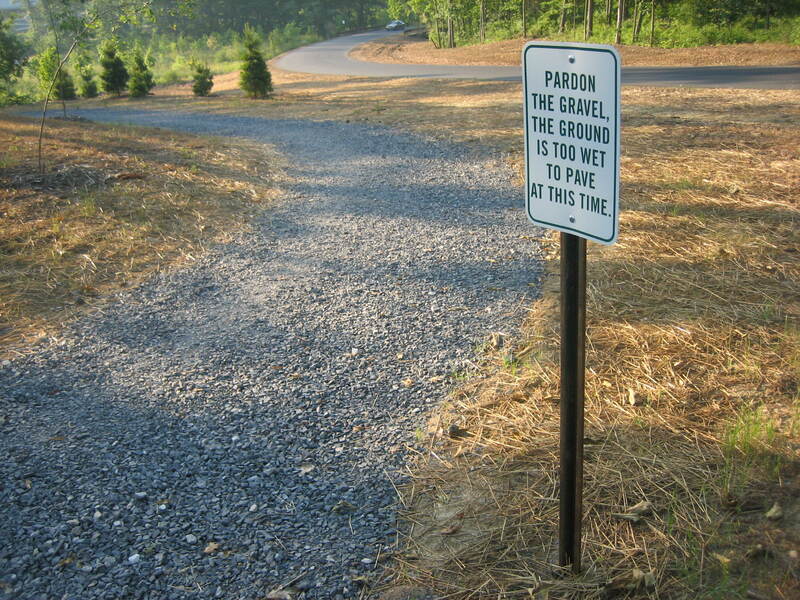 A sign has been placed by the gravel path stating that it won’t be paved until the ground is drier. The Gettysburg Daily took a journey down this unpaved path on Friday morning. Farther down the path, the Visitor Center complex comes into view in the distance. This view was taken from the west facing east at approximately 7:30 AM on Friday, June 13, 2008. The path leads down to a bridge crossing a ravine. This view was taken from the southwest facing northeast at approximately 7:30 AM on Friday, June 13, 2008. Some individuals have not entered any of the path we have shown so far. They take a short cut from the parking lot across an area where trees are planted, to this point. 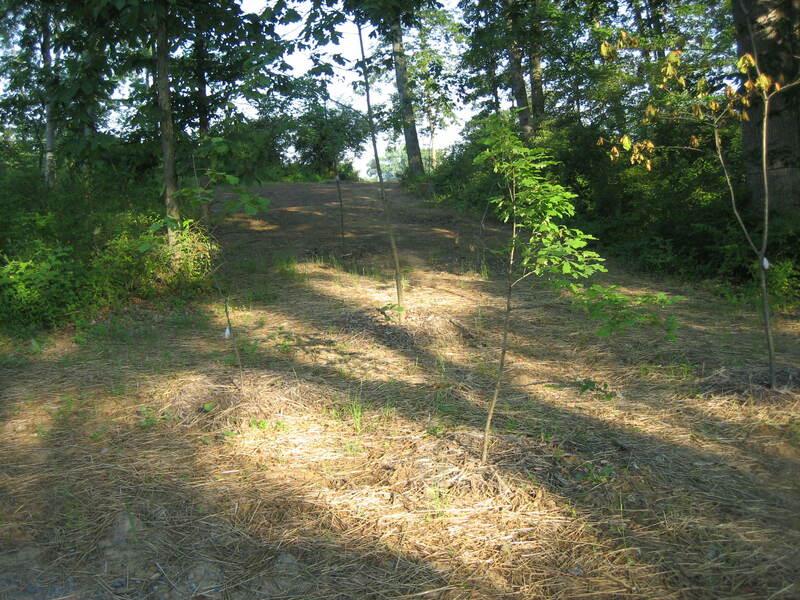 Note the well worn dirt path at the top of the hill. This view was taken from the southeast facing northwest at approximately 7:30 AM on Friday, June 13, 2008. The bridge crosses a stream around which some environmental concerns were raised when the new Visitor Center complex was in the planning stages. This view was taken from the west facing east at approximately 7:30 AM on Friday, June 13, 2008. After crossing the bridge, we have turned around and looked back at this path junction. 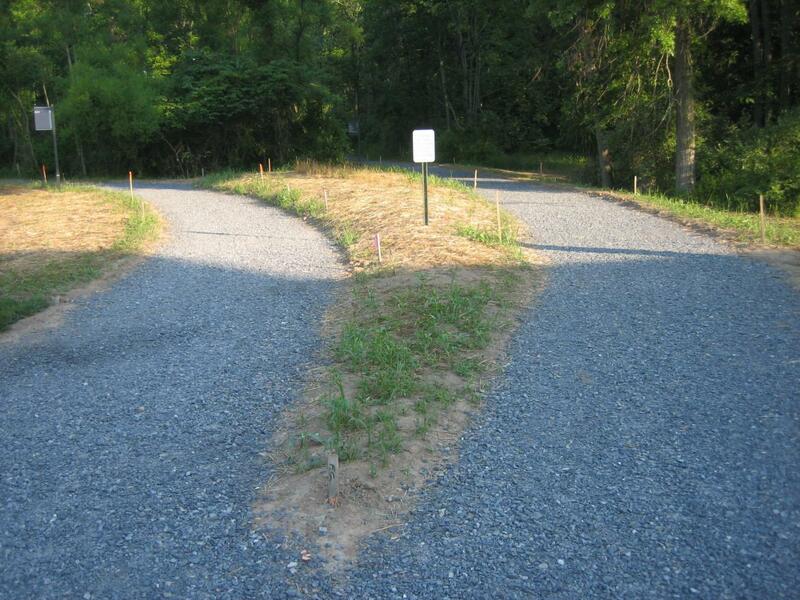 The path on the left is the one which we have taken from Parking Lot #3. We were walking toward this camera position. 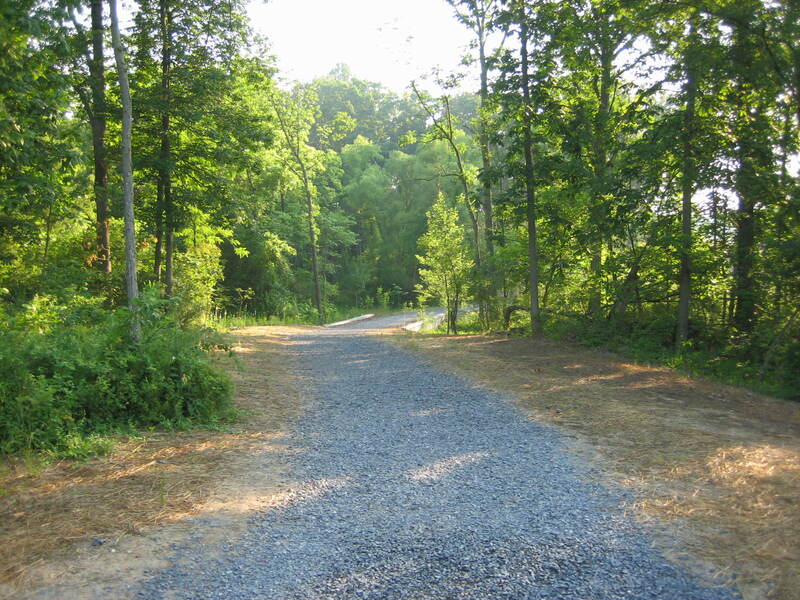 The path on the right leads to Meade’s Headquarters on the Taneytown Road. This view was taken from the southwest facing northeast at approximately 7:30 AM on Friday, June 13, 2008. A closer view of the ominously permanent looking sign at this junction. This view was taken from the southwest facing northeast at approximately 7:30 AM on Friday, June 13, 2008. 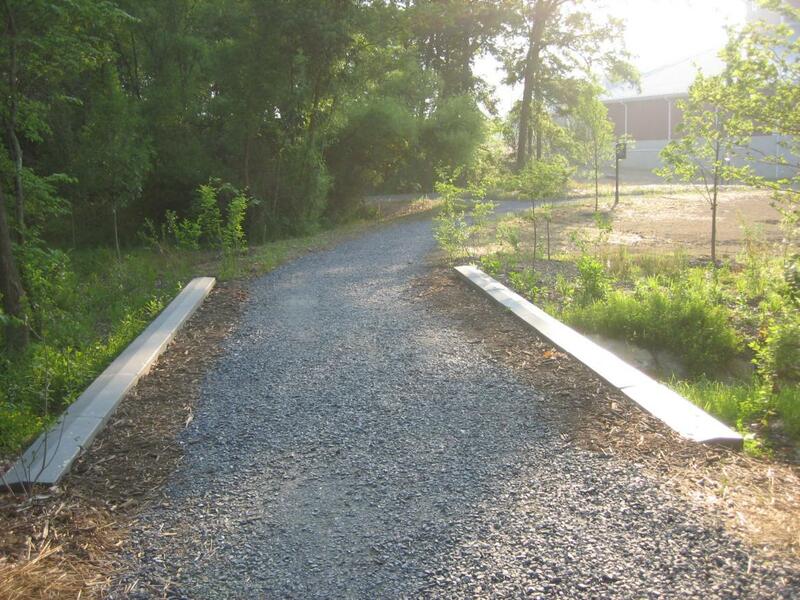 The gravel path ends at this sidewalk in the rear (west of) the new Visitor Center. 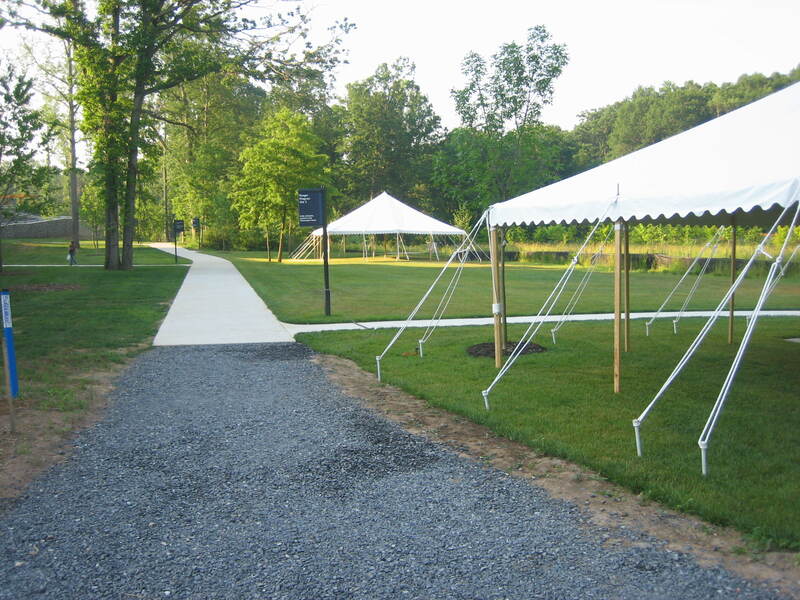 The tents for Ranger programs are on the right. This view was taken from the north facing south at approximately 7:30 AM on Friday, June 13, 2008.